While the Halloween episodes have become an annual tradition, early seasons attempted an annual flashback episode. 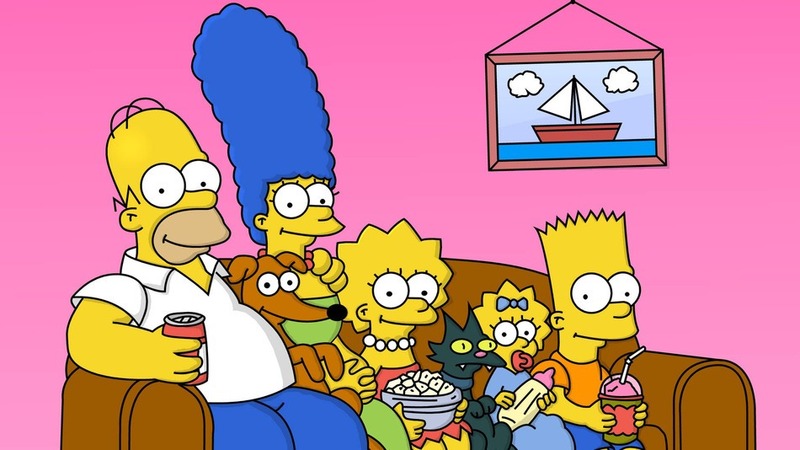 While the flashback does still find use today, the early ones were used to fill in blanks for the family’s past, such as the meeting of Marge and Homer, and the marriage listed above. The marriage, it should be noted, is Bart’s fault. Sort of. After a pregnancy scare where Marge gets her usual craving for pancake mix and Homer finds himself feeling the anxiety that came with each of the other kids, Marge goes to Dr. Hibbert to see for sure if there’s another baby on the horizon. Spoiler: there isn’t. But left alone with the kids, Homer can recount how Bart came into the world and how that led to him and Marge having what is basically known as a shotgun wedding. But here we get to see what swinging single life meant for Homer and Marge. Marge had less hair while Homer had more. Homer apparently shared a place with Barney, while Marge lived with her mother and sisters. Of course, the other Bouvier women can’t stand Homer for whatever reason they hate him for. After an unforgettable evening that Homer may have almost forgotten about, Marge is expecting, and Homer is proposing. Money’s tight, so the newlyweds move in with Marge’s family. They still hate Homer. Homer, of course, needs to get a real job to pay for all the stuff he’s buying. Yeah, it got repossessed by a repo man who says that repossessing things is the worst part of his job. And then Homer tried to get a job at the Nuclear Plant, but it didn’t work out since Smithers, conducting the interview, discovered two of the guys there were members of his fraternity. Oh, and there were only two positions to begin with. Homer really wants that job, too, whatever it is. Especially when he learns they have donuts in all the colors of the rainbow. Temporarily abandoning Marge to earn money, Homer does get the job when he shows how forcefully he can be spineless. That sort of thing impresses Mr. Burns. You know who the MVP is here? Selma, the one member of Marge’s family who sympathizes enough for Marge to tell her where Homer is. And then Bart is born knowing how to use a cigarette lighter. On a final note, could anything have dated this episode more than Bart and Lisa arguing the potential new baby should be either Ariel or Kool Moe Dee? Next Next post: Trailer Time: Warcraft Again? !